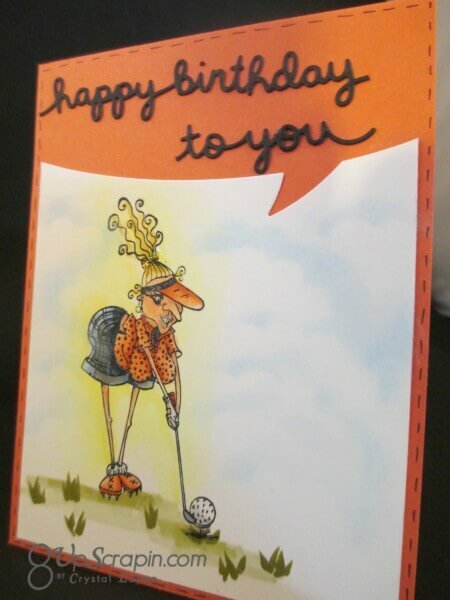 I Brake for Golf …. 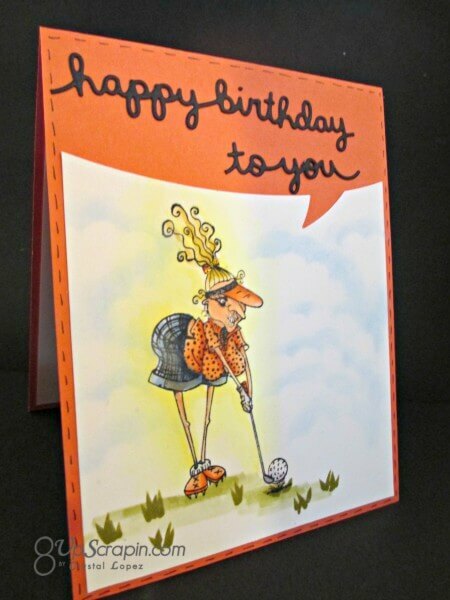 You are here: Home / Scrappy / I Brake for Golf …. Hello I Brake for Stamps fans !! 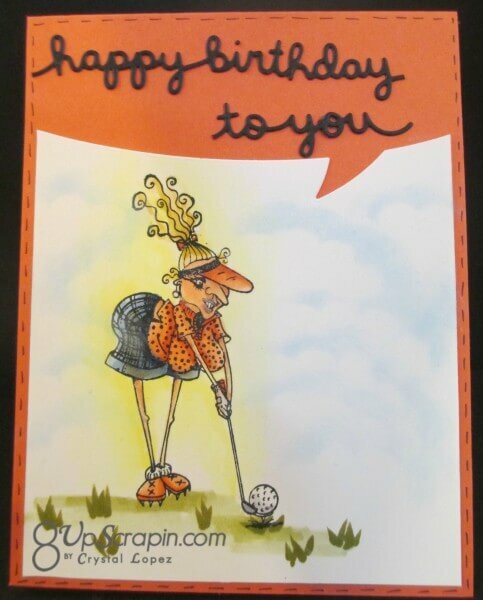 It’s Crystal here with a birthday card using an image from IBFS100 senior half sheet , I think this golf lady is oh so cute .